The redesigned Encore was inspired by the Buick Enspire concept crossover. 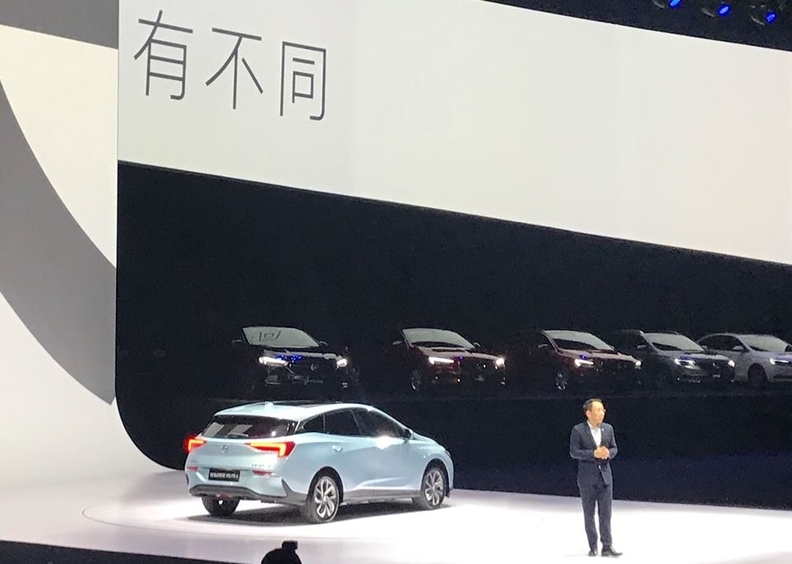 SHANGHAI -- Buick unwrapped the next-generation Encore subcompact crossover and a derivative model dubbed Encore GX for China, as well as the brand's first electric offering, the Velite 6 MAV. MAV stands for multiactivity vehicle and is Buick's effort to carve out a new segment in China. The Velite 6 isn't quite a hatchback or a crossover or a wagon. It's a blend of something in between. Buick is delivering 5,000 of the EVs this month to Chinese car-sharing operator EV Card. Buick also showed an ultraplush luxury concept of its workhorse GL8 people mover. It is called the GL8 Avenir in a nod to Buick's premium subbrand and has palatial, thronelike rear seats. 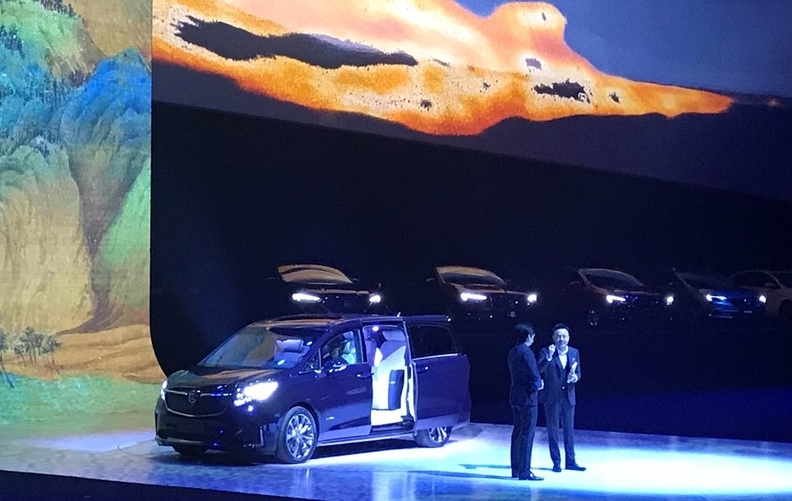 The vehicles, unveiled here Monday on the eve of the first Shanghai auto show press day, underscore General Motors' efforts to find traction in China's flagging market. So-called new-energy vehicles, which include EVs and plug-in hybrids, are defying the downward shift in consumer demand. Sales more than doubled to 227,000 here in the first quarter. Crossovers and SUVs, by contrast, were once red-hot. But volume in the segment slumped 14 percent through March, in an overall China market down 14 percent. But the sheer size of the segment — at 10 million last year — is prodding all automakers to keep adding new models. The Buick GL8 Avenir concept MPV spares no expense on detail from its fine-woven cashmere carpet and Chinese lacquer trim to the chilled champagne glass dispenser. The Encore, Buick's first crossover built in China, went on sale in the domestic market in October 2012. The Encore GX is a long-wheelbase version and new to the Encore series in China. A Buick spokesman in the U.S. declined to comment on the brand’s domestic plans for the Encore. But Buick is expected to introduce at least one of the new Encore models in the U.S. later this year. The Encore has become Buick's top-selling model and among the most popular subcompact crossovers since its U.S. launch in 2013. Buick-GMC Vice President Duncan Aldred, during a make meeting in January at the NADA Show, told dealers that a model would be added to the Buick lineup later this year. At that time, it was unclear whether he meant a new nameplate or possibly the addition of another model under an existing nameplate. Both will be available with a new nine-speed Hydra-Matic transmission and new continuously variable transmission and receive updated styling and enhanced connectivity. 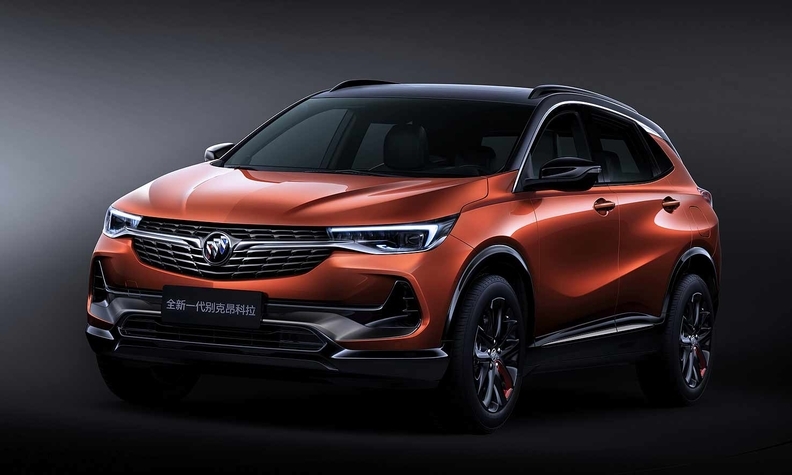 The entries will complement the Envision and Enclave on sale in China and help Buick cover four size brackets in the segment. GM said the Velite 6 MAV features a new platform designed with GM's Chinese joint-venture partner, SAIC Corp. It is separate from the next-gen EV platform GM showed in 2017. The Velite 6 MAV also uses a "new-generation pure electric drive system." The Buick GL8 Avenir concept MPV spares no expense on detail with fine-woven cashmere carpet and Chinese lacquer trim to the chilled champagne glass dispenser. The upmarket van envisions what might be on tap as a next-generation chauffeured limousine in a country that prizes such rides. Buick calls the concept "the closest to mass production." China sales at GM and its joint ventures slumped to 813,973 during the first three months of the year, from 986,052 a year earlier. Sales of Buick, the company's biggest brand in China, also declined in the first quarter, to 225,313 vehicles from 271,521 the year before. GM plans to introduce a record of more than 20 new and refreshed models in China this year to shore up volume in the world's biggest auto market. About half of those introductions will be new nameplates for the company's Chin portfolio. China has been GM's largest retail sales market since 2012. The Velite 6 isn't quite a hatchback or a crossover or a wagon. It's a blend of something in between.